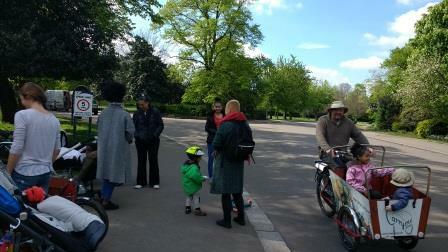 The next Family Cycling LIBRARY with Hackney Family Cycling is on Sunday 16 July - check out the Facebook Group Event here. Meet in front of the Lido (on the grass) at London Fields. Family Bike Ride: gather from 1:30pm and we set off at 1:45pm; ride ends at Olympic Park by 3pm latest.